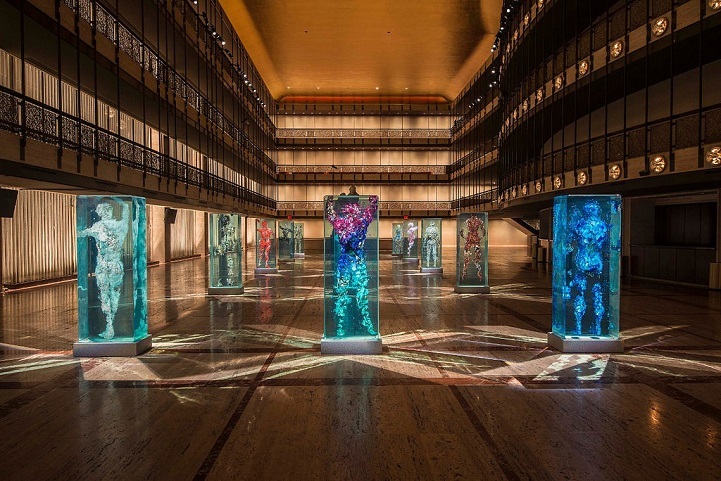 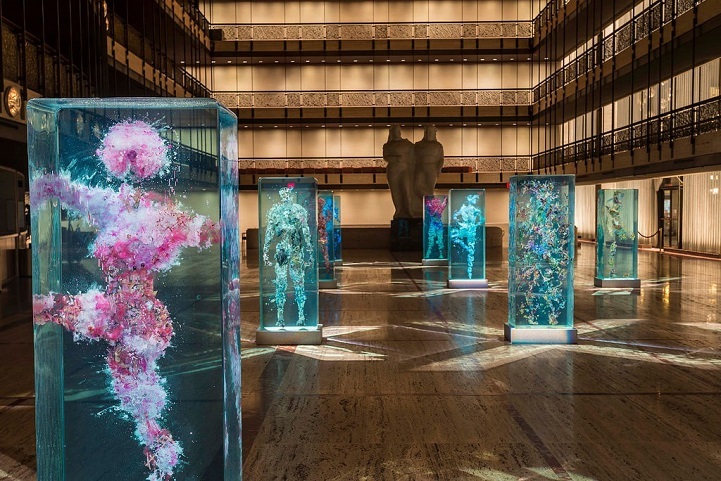 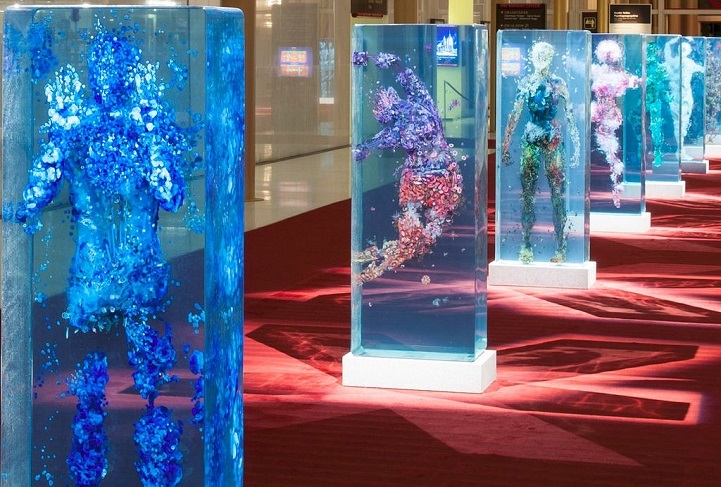 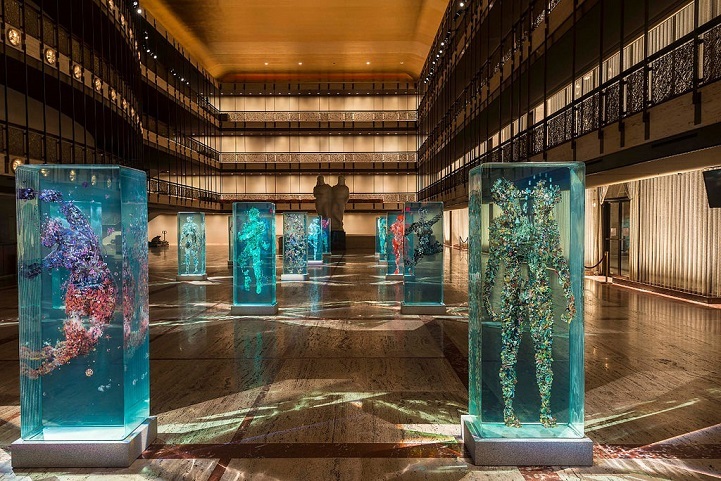 Brooklyn-based contemporary artist Dustin Yellin has received worldwide recognition for his technique to creating large-scale, fantastical collages encased within layers of glass. 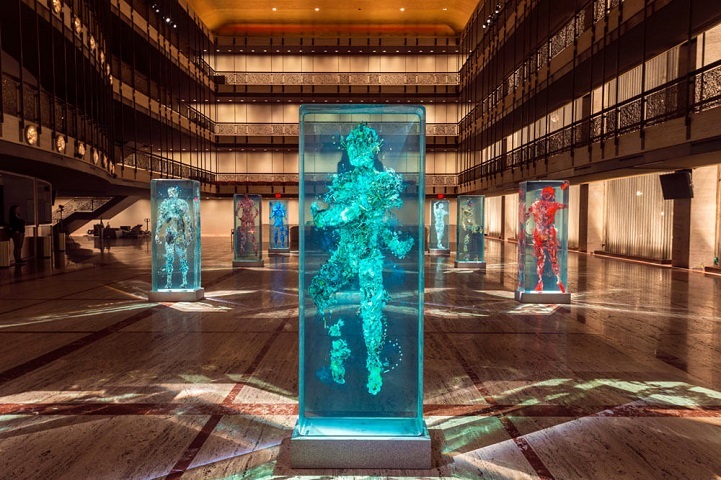 Psychogeographies, his newest exhibition commissioned by the New York City Ballet for the annual Art series, is a collection of life-size humanoid figures. 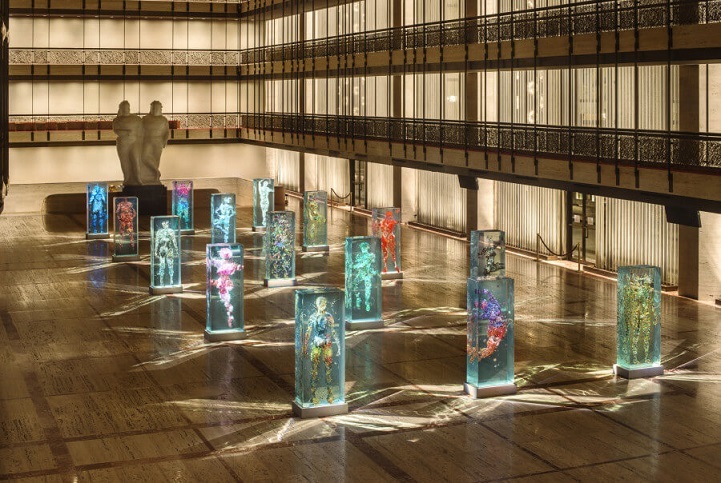 These sculptural paintings are painstakingly pieced together using thousands of individual drawings, paintings and magazine or encyclopedia clippings that are then stacked between vertical planes of glass to render three dimensional forms. 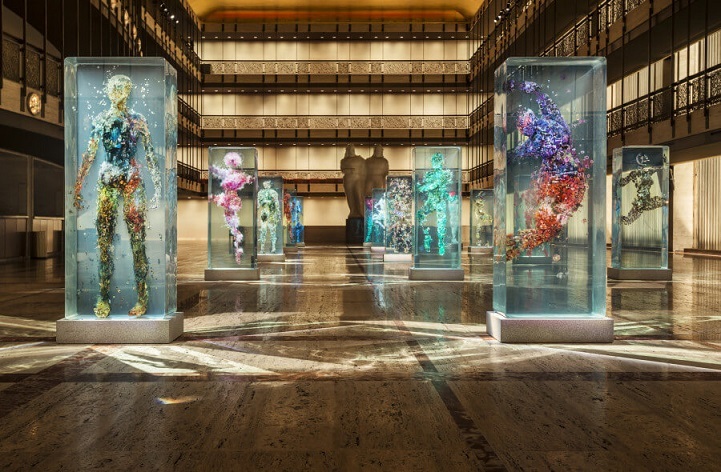 Though reminiscent of taxonomic art that gained popularity in the 19th century, Yellin’s work often focuses on otherworldly mutations of living things. 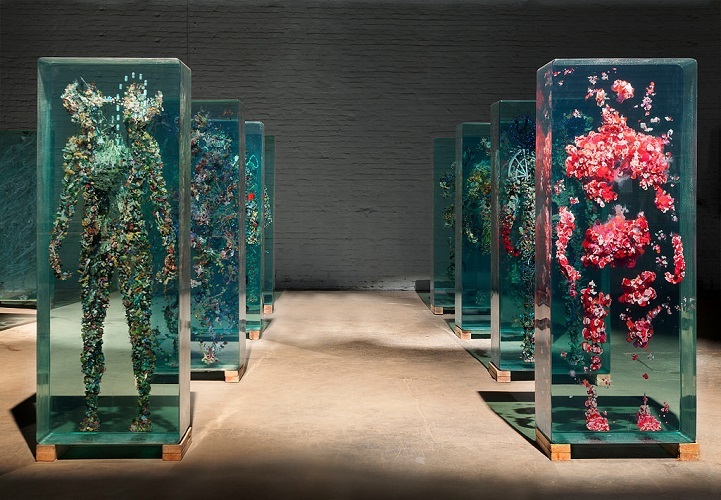 Like specimens trapped under a microscope, his sculptures are recognizable yet alien at the same time, drawing shape from the natural world but with an additional element of fantasy. 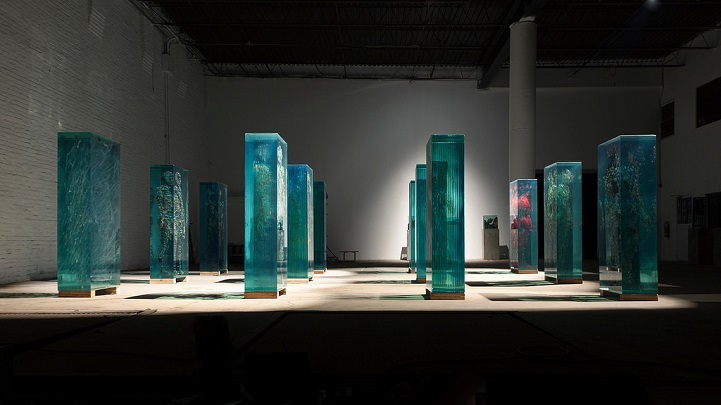 The process to create these works is intensely laborious; the current series of 12 figurines took 6 years to complete. 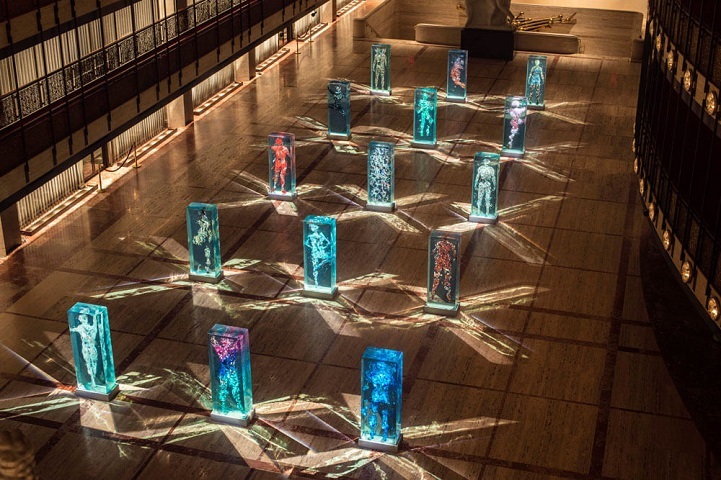 Psychogeographies allows for an interesting study of the human form, from a decidedly abstract perspective. 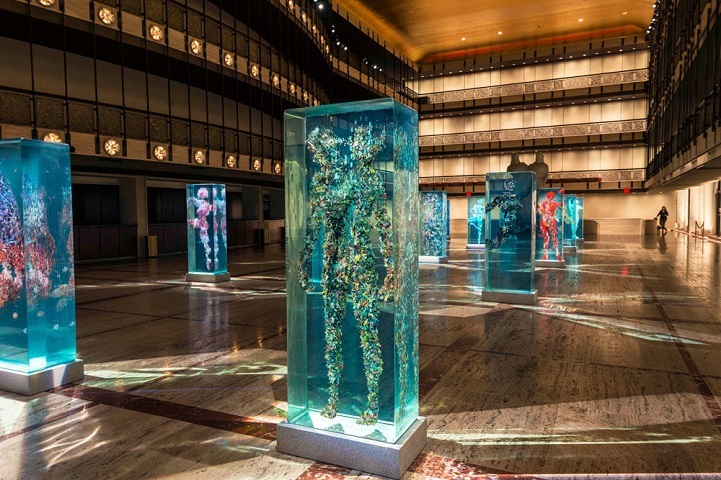 It is now on permanent display at the Kennedy Center for the Performing Arts in Washington, DC.